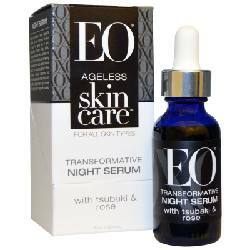 What Is EO Night Serum? This product is manufactured by EO, which is a company specialized at producing a variety of cosmetic products that aim at improving the users skin health and complexion. EO Ageless Skin Care Transformative Night Serum is a skin care product formulated from the use of organic ingredients, which play a role in getting rid of skin aging signs. It’s said to work well in restoring the skin’s natural attractiveness and radiance. This serum contains antioxidants which help to protect the skin from free radical damages. This skin works well for dry and aging prone skin. It’s produced from ingredients that enhance skin hydration, thus increasing skin firmness and reducing skin sagging. It’s also said to give softer and younger skin complexion. However the effectiveness of this product are not clinically supported. This formula is available online and the purchase can be done on the brand’s official website. It’s sold at a cost of $39.99 and it’s said to offer discounts and to have money back guarantee to unopened items. EO Night Serum – Does It Really Work? Based on the manufacturer’s claim, EO Night Serum has been formulated to aid in elimination of skin blemishes such as aging signs, dark circles and sun spots. 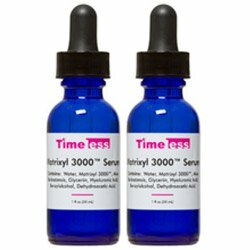 It’s a fast acting formula that leaves the user with a radiant and youthful skin appearance. It helps in skin hydration, thus increasing skin firmness which helps to protect the skin from sagging. It also plays a role in collage production, thus assisting in the process of skin renewal and getting rid of wrinkles, fine lines, sun spots and dark spots. What Are The Ingredients In EO Night Serum? 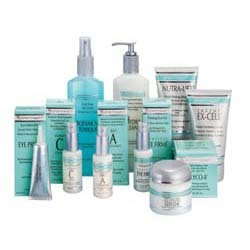 This product is produced from the use of natural ingredients, which work well in enhancing skin hydration. This increases skin softness and firmness, thus enhancing the reduction of aging signs. Pumpkin Seed Extract- it plays a role in maintaining skin oil production and in enhancing skin hydration, thus increasing skin firmness, youthfulness and attractiveness. It also helps to increase the skin’s health and defense mechanism. Abyssinian Oil- it helps in skin softening, improves the skin health and play a role in protecting the skin moisture from evaporating, thus increasing the skins health and attractiveness. Meadow foam Seed Oil Extract- it possesses moisturizing and skin rejuvenation properties, which help to keep the skin dump, healthy and attractive at all times. Evening Primrose Oil- it helps to treat eczema, psoriasis and skin acne. It also plays a role in reducing menopausal symptoms in women. Avocado- it contains vitamins, antioxidants and fatty acids that help to improve the skin health and protect the skin from free radical damages, premature aging and improve its health. However it may also cause skin allergy. Moringa- it helps in healthy tissue development, reduce hair loss and contains antioxidants that protect the skin from free radicle damages. Macadamia- contains fatty acids which play a role in improving the skin health, hydration and enhancing skin healing. Sunflower- contains nutrition value to the skin as it helps in skin nourishment, hydration and protection from environmental stressors. Apply a small amount of this skincare solution on a cleansed. Massage it gently using your fingertips until it absorbs completely into the skin. It contains natural ingredients which help in skin hydration and that protect the skin from premature aging. 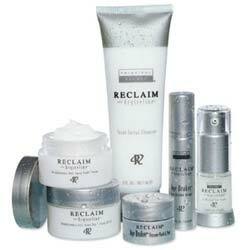 It’s produced by a reputable company in producing safe and potent skincare products. It has free refund policy and free domestic delivery however, the brand does not possess a very good reputation in terms of customer service. Functions of ingredients listed on the official website are not well explained. Exact measures of ingredients used are not indicated on the official website. Does EO Night Serum Have Any Side-Effects? EO Night Serum side effects are caused by the ingredients used. They include- react differently to various skins and they may cause skin irritations to some individuals. EO Ageless Skin Care Transformative Night Serum is a skincare formula formulated from the use of natural ingredients to help in skin hydration and in elimination of skin aging signs. Though it’s said to be formulated from the use of fast acting ingredients, it’s hard to conclude it’s safe and potent. Therefore, it’s good to consult a dermatologist before use.